This first week I've posted new stories every day, drawing extensively from "The Other Side of the Wood" sketchbook. I have added and stretched and embroidered but the guts of each of these posts would be recognizable in the original work if you looked. Thus you guys are being introduced to my world in much the same way I created it; by characters, by races, by little snippets of history that must fit together somehow if only a little more information would come to light. Curious? Check out the first week's public posts on the World and its residents. Scroll down for stories. Starting next week I'll post less often, giving me time to focus on new material and (at least sometimes) needful elements for my evolving story arc. My goal is at least one post a week, four times a month. Also starting next week, many posts will be available only to the excellent Patrons who help make my adventure in storytelling possible. In other news - June is coming, and with it the June-Fae art challenge. I will draw and publicly post a new fairy every day, here on my blog and on any social platform that I can navigate. 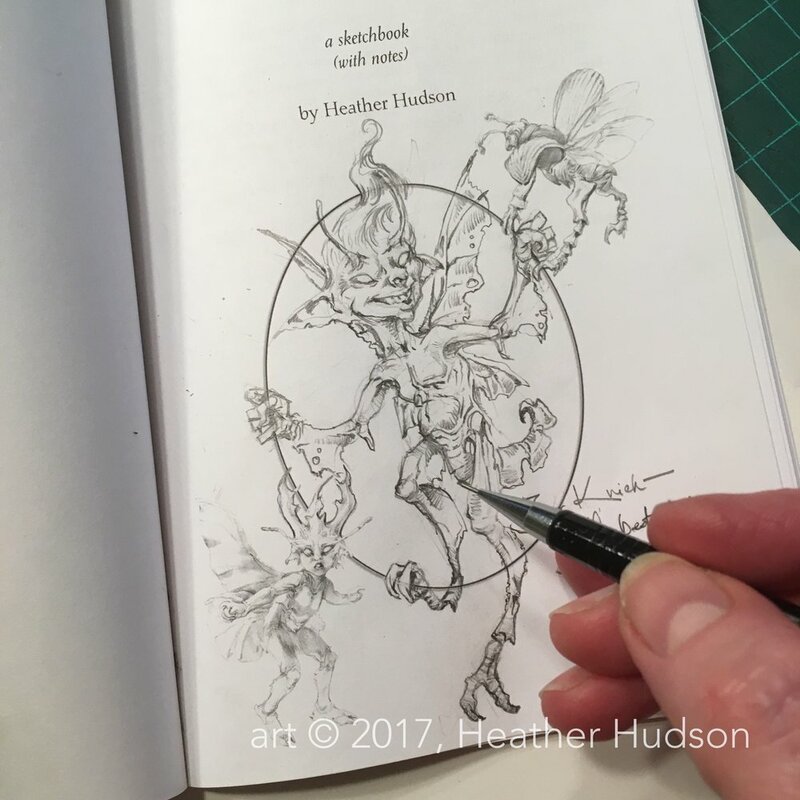 (Maybe even G+ as well....) This year I will be drawing my faeries from the world of the Wood, and I plan to tell a new story each week inspired by one of the Fae I've drawn. It will be an interesting project. Faeries in general are most appealing to me when they are bright and positive things, but at the same time my world's Faeriscite virus gives them a certain squick factor that will have to be woven in to the world..
Let's see how next month goes...!